For $150, Zondervan's The Teacher's and Pastor's Library is probably the best bargain if you do not plan to do extensive language study. It is stodgy in design and needs a face lift, but it is a great price for what you get. Biblesoft's PC Study Bible and QuickVerse are great if you aren't particularly into more scholarly approaches. They are both well-designed and fun to use. I'd give Biblesoft a slight edge. 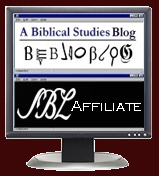 For those who are serious about using the biblical languages, you have to go with either BibleWorks or Logos. I'd say it's a toss-up between the two. One of my student scholars felt he needed them both to get the range of study he wants to do. BibleWorks offers the better price. With Logos you pay more and get more, especially in the other non-exegetical resources, plus it is generally easier to use and more creative than its competitors. In the final analysis, Logos's Scholar's Library will be my go-to software. At ChristianityToday: "The List: Bible Software: The top five computer helps for Bible research. It has very brief reviews of The Resurgence Greek Project, Logos3, BibleWorks7, Zondervan’s Greek & Hebrew Library 6.0, and Accordance. Check out the comments for more suggestions of programs that should be on "the List." Best Mobile Bible Software - Fairly lengthy reviews of: Pocket e-Sword, Laridian MyBible4, OliveTree Bible Reader, Laridian PocketBible for Windows. Top 10 Bible Software Programs - Most of the usual suspects but some surprises; brief reviews with links to sites. Bible Software - A search for "bible software" on About.com generates about 100 articles for you to read! We are just beginning, and have KJV, ASV, and WEB Bibles, with Strong's and Gill, Barnes, Scofield commentaries. We are constantly improving the program, so check back frequently. Bible Mapper wiki update - More videos!